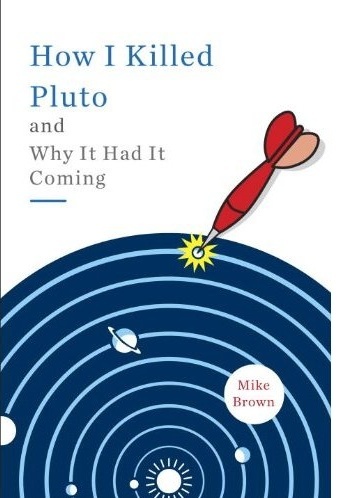 Mike Brown's Planets: Look up! Thanks for explaining so clearly how rare it to find people looking up in the sky, no matter what time of day it is. Is there any way to remedy this situation, any way to stop everybody in their hustle and bustle to stop once and a while to look up, and to wonder what's up there? Education? More sidewalk astronomers? Hopefully after IYA 2009 there will be more people looking up and appreciating the beauty of the cosmos and of the sky and general, and how this is something that humanity as a whole can partake in. You need to spend a winter in the Australian outback. With no lights for 100's of km, the winter stars command everyone's attention, and the galactic center glowers overhead. On our first two field trips, my fieldie and I would serve ourselves dinner, turn our chairs around with our backs to the fire, and just stare of into interstellar space. What a lovely read! A friend on FB shared your post and I just wanted to stop by and say hi. I am by *no means* an amateur astronomer, but the best date my husband (then boyfriend) and I have had thus far, was going up to Mt. Tamalpias (just north of San Francisco) and on a bitterly cold November night, we watched the Leonid meteor shower under a shared sleeping bag. It was beautiful, wonderful and we got to snuggle to keep warm. My astronomy club is located in Cranford, NJ, and while we all love looking up and have weekly open public nights, we also unfortunately have either clouds or rain on maybe 70 percent of those nights. We did manage to see the February 2008 lunar eclipse after almost having to cancel due to bad weather. Unless one is a meteorologist, clouds just aren't that interesting to look at. One of the side benefits of hauling my tired carcass out of bed at 4 a.m. this morning, to go running, was that I got to see Venus in the eastern sky. I, too, am constantly looking up. Which reminds me, I've got to look up that bright star, in the southeastern sky at dawn, to find out what it's called. It's already too light out for the constellations to be visible, so I don't have that as a clue. Excellent post, Mike! I can't help thinking that every year should be a "year of astronomy". It kind of puts us in our place. Well, I took your advice. I did look up. And I saw it! A bright, magnitude 0 (? not a good magnitude estimator) or better, Lyrid meteor! It was yellowish-white and appeared for less than a second from behind the trees. I couldn't get to a dark-sky site because I have no car. I stayed up all night reading the last words of Richard Cartwright. http://www.ccadp.org/uncensoredcartwright.htm"Yesterday (01/25/2005), I was allowed the one hour out of my cage to go outside into a slightly larger area made like a pit. There is concrete walls that goes about 30 feet up on all side. Across the top there are steel bars that tic-tac-toe back and forth to ensure that even when we look to the skies, we see prison. This is our ‘outside hour’. The air isn’t fresh, but there are smells out there we don’t get on the inside. There are spaces that divide the ‘yard’ up so two of us can be out at one time, separated by steel bars serving as ½ way marks. When outside the only thing we can see is the same stuff we see in our cages (concrete and steel). Oh, I forgot, we can look up to see the sky. Sometimes we catch sounds (birds, lawn mowers, airplane), but if we look up too long, a person’s neck starts to hurt. The 2 officers came to tell me my time is up. I told ‘em to go put their ‘suits’ (riot gear, MCE) on, and I was gonna hang outside for a while. Once a prisoner refused to come in, they must notify their supervisors. They (supervisors) came down and we talked about it a little, but that didn’t help me any. So they went to get 5 guards to suit up in ‘gear’ to physically force me back inside..."
Richard Cartwright was murdered May 19, 2005, by Rick Perry & accomplices on the Texas Board of Pardons and Paroles. I found out about the Lyrids when Robert, the maintenance man, posted it on the bulletin board. Having wasted the night anyway, I went out the front door. But there was too much light. So I went to the back. I told the night watchman about the Lyrids and pointed to the bulletin board. I went into the back yard and the automatic floodlights turned on. Arrghh!!! So I went to the alley. In a few minutes the night watchman came out, hoping to see a Lyrid. My neighbor down the hall, Allen Haskell, died the other day. He was a former homeless bum, which qualified him for the public housing. We've had an accelerating rate of that, two in December and three this year; delayed effects of the "camping" experience. Allen was a paranoid schizophrenic, but he had good control over his illness (better than my diabetes control). He always had a hearty "Have a nice day" for us in his very loud voice. His couch was in the alley. I looked at the night watchman. "You know, Allen would have told me to use it." The night watchman agreed. So I settled in. Then we both saw it; a flare in the sky. But it was moving too slowly for a meteor. No flashing navigation lights; it disappeared entirely in a little over a second. We think it was a satellite. It was just before morning twilight and it would have been in the sunlight. The night watchman had to go back inside and watch the monitors. Allen, like most paranoid schizophrenics, had real enemies, too, like most ex- (and current) homeless bums. That's why all the security and of course, it's internal, too. I settled in. There was light pollution, but with us (then me) in the alley the floodlights had turned off. Unfortunately trees blocked off a lot of the sky, which might explain why I only saw about two meteors in about an hour. The other was faint, like maybe 4th magnitude (?). I dozed off in the comfortable couch and missed the occultation of Venus by the moon that I had read about in Sky & Telescope online. But, for the first time in a long time, I did't get clouded out! I find some clouds, especially thunderclouds, fascinating. They roil and boil and then there's the suspense; will it produce an icecap? Lightning? Rain? A rainbow? The sky is a fascinating place, both night and day! I always look up at the stars! Studying astrology though, I am more interested in the moon and planets and their connection to our Sun. I know their ancient myths -- common archetypes within Life's stories. We've all shared the same struggles and loves for thousands of years. The heavens are our common ground. They're beautiful bodies, and their power is in what they can communicate and teach us. A little Moon/Venus tale this a.m. It doesn't matter if it works, or how it works. It's "Know Thy Self" that makes you evolve and brings peacefulness. Living in the midst of a crowded city in one of the most crowded and light polluted countries in the world, the most I can see of the night sky is a few paltry stars here and there. It was only when spending a weekend camping out in Suffolk in the middle of nowhere that I first saw the Milky Way in all its glory.